30ml bottle of Arabian Pomegranate Beard Conditioning Oil. 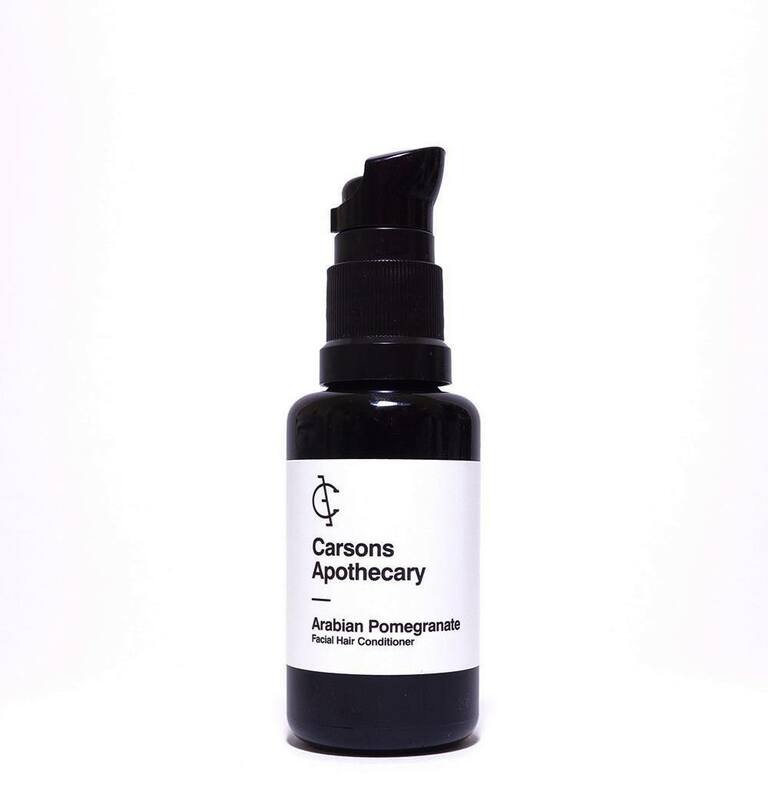 Carsons Apothecary Arabian Pomegranate has a masculine, fresh and spicy scent. The base oils are Organic Rosehip, Sweet Almond and Grapeseed which give this oil fantastic conditioning and protective properties and are naturally rich in vitamins A & E.
Beautifully presented in a dropper bottle.